Diners, Drive-Ins, and Dives is the unofficial guide app for the hit TV series on the Food Network. 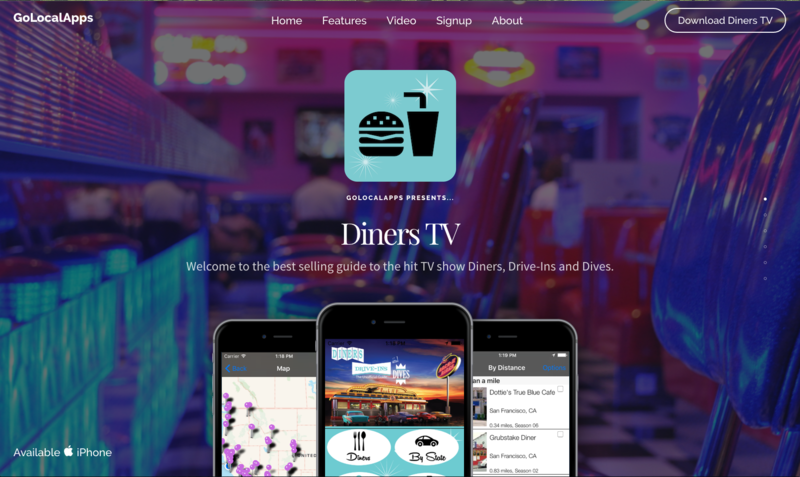 The Diners TV app was created by our app development affiliate, GoLocalApps. This is an example of how aesthetically pleasing a simple app landing page can be. Well, if we are working on it, of course. The Diners TV looks amazing on mobile, and desktop.